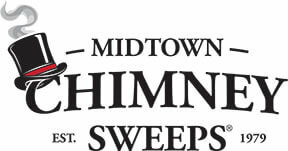 Midtown Chimney Sweeps Franchising was built by founder Byron Schramm. He is a second generation fireplace and chimney technician who wanted to create the system he always wished he had. He knew the components that a business in the hearth industry needed to be successful, and he was determined to put them together. He visited companies throughout the industry to discover what was working, and what wasn’t. As a result, Byron developed a world-class marketing and Customer Relationship Management system that gains customer’s loyalty and rewards the business owner. This system is the first full scale, systems-driven, marketing oriented chimney franchise in the U.S. and it’s now available to you. With Midtown Chimney Sweeps, your business can hit the ground running. Protected Territories- Never worry about another franchisee taking over your area or customers. Midtown Chimney Sweeps will assign you a dedicated, protected territory. Investment Overview- You are not alone in your investment endeavor, the Midtown Chimney Sweeps development team will walk you through the business model, funding options and schedule a day for you to meet with us face-to-face. Marketing Support- You will be provided templates, target marketing profiles, customer acquisition advice and proprietary software to support your marketing efforts. Scheduling Center- You will have a staff of call center support behind you, answering the phones, scheduling clients, and answering any questions with complete, concise information. We are looking for owner-operators who have an existing job and will be expanding this new business until it reaches full time capacity for them and they quit their other job. We are also looking for owner-managers who will be using our business model to employ other people, specifically, a manager first and then other new hires after that. Our system is scaleable and allows owners to manage their business reports and see new booking activity that is happening within their business. More than half of U.S. households (52%) have at least one fireplace or freestanding stove. There were approximately 1.2 fireplaces per American home in 2010, with 80 percent of the homes having at least one fireplace or stove, and 21 percent having two or more. 34% of wood or pellet stove owners view their stove as a major heat source. Over 50% of all chimney sweeps in the USA are over the age of 53. This means many are heading toward retirement, and most with no solid exit strategy. There is a large opportunity in this approximately $2,185,000,000 marketplace in the USA. Midtown Chimney Sweeps is currently accepting inquiries from the following states: Arizona, Arkansas, California, Colorado, Connecticut, Delaware, Georgia, Idaho, Illinois, Indiana, Iowa, Kansas, Kentucky, Maine, Massachusetts, Michigan, Minnesota, Missouri, Montana, Nebraska, Nevada, New Hampshire, New Jersey, New Mexico, North Carolina, North Dakota, Ohio, Oklahoma, Oregon, Pennsylvania, South Carolina, South Dakota, Tennessee, Utah, Vermont, Washington, Washington, D.C., West Virginia, Wisconsin, Wyoming.